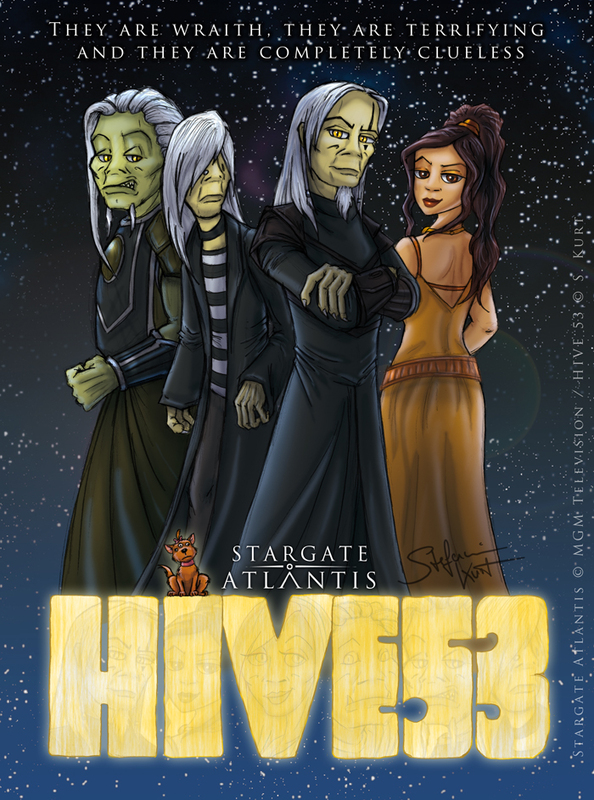 Also into the category of Stargate Atlantis fanfictions falls this series of short one-shots I wrote between 2009 and 2012. I was an active part of a Wraith-centered online RPG then, called Wraith Worshippers Anonymous. As these things go, people drift apart over the time due to real life interests changing or, in rare cases, severe disagreements. So while the actual RPG is not active anymore, I still like its inherent “mythology” that was crafted by the highly creative members. You don’t have to be a member of said game to understand the plot, yet for the more exotic concepts of the background story, I have compiled a small WWA glossary. A worshipper’s life can be stressful when her two Wraith won’t stop squabbling. When DS and Tommy are on an expedition for a couple of days, Rhys searches for a useful pastime. Vincent returns to Boris’ hive after a long while and gets accustomed to the crew. Being a curious soul, Vincent decides to go exploring and discovers someone who surprises him. After visiting the Wraith and worshippers of Vincent’s hive, Chaya returns to her home world. New to Hive 53? Start here!